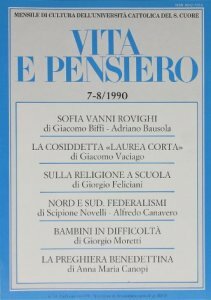 In the introduction to Bonaventura’s section, curators wanted to highlight the 8th centenary of his birth as a chance for further philosophical and theological bonaventurian studies, with the main focus on last years’ research, especially the one brought out by Università Cattolica. 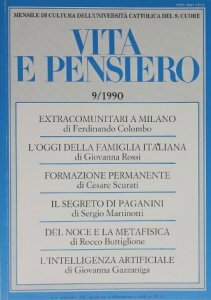 Contents of the contributions of the fifteen scholars who answered the call for paper, were distributed in three areas: the majority focused on the study of Commentary on Sentences, selecting and identifying topics and authors appearing in the book and showing Bonaventura’s research methodology. The essays on the Commentary are followed by some metaphysical-gnoseological contributions, which revolve around the notion of being and its chance to be known by the human kind. On the other hand, ethical matters are included within moral bonaventurian theology, together with important references to philosophical and anthropological topics. 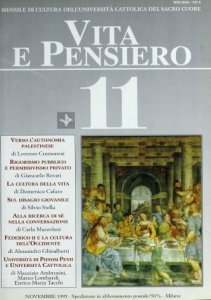 In Lectura super Sententias Bonaventure discusses the ancient philosophers’opinions about God, the created world and the nature of man, emphasizing the progressive approach by them to the truth. Thus, he reveals his interest in the history of philosophy and his positive outlook: Bonaventure shows high esteem for their opinions and tries to understand the reasons behind their unavoidable errors, for example about the nature of God and his relations with the created world. In Collationes in Hexaëmeron, however, Bonaventure emphasizes these errors. His critical attitude is chiefly against some Christian masters of the Arts, who present themselves as followers of the antiqui philosophi, especially Aristotle. Unlike the ancient philosophers which Bonaventure tries to justify, these Christian thinkers have revelation at their disposal, but they do not regard the progress about the truth by Christianity. This paper analyses the distinction XXV (q. 1, a. 1) of the first Book of the Commentary on Sentences by St. Bonaventure. In this dispute, Bonaventure studies the quiddity of the name ‘person’. Especially, he asks the question: Whether the name ‘person’ among the divine is said according to substance, or whether it is said according to relation? Bonaventure takes the arguments both and concludes integrating the positions. We try to show that in this conclusion is manifested the Bonaventure’s metaphysics, integrating quiddity and signification. Which particular meanings do the notions of place and movement acquire, when considered in a theological – rather than physical – framework? In this essay we will analyze Bonaventure of Bagnoregio’s discussion of place and movement of angels, a theological issue, crucial in the 13th century debate. To discuss this question, Bonaventure uses in an original way (secundum quid) the Aristotelian notions of place and mouvement. Observance of the notion of the universal order established by God for creatures is in Bonaventure’s mind the main cause that explains the need for the localization of the angel. The angels, as ministers of God, are present in a bodily place, the empyrean, and move on with a continuous and subsequent motion, even without a hired body. The issue of the agent intellect is one of the significant exegetical problems of Aristotle’s work. Medieval solutions to this issue were associated with Averroist monopsychism and its critique elaborated by Thomas Aquinas. 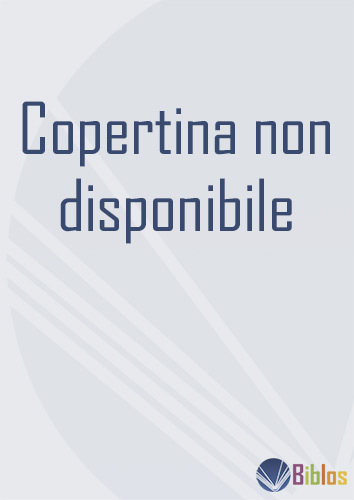 This paper discusses the concept of the agent intellect in the works of Bonaventure of Bagnoregio, which is often compared to Thomas’s concept on the basis that it similarly emphasises the immanence of the agent intellect as part of the human soul. Bonaventure, however, by building on the work of his Franciscan predecessors Alexander of Hales and John of la Rochelle, did not formulate an unambiguous concept of the agent intellect. The combination of Aristotelian noetics and Augustinian illumination creates room for the dual concept of the agent intellect, in which the agent intellect is not merely the difference of the human soul with the potential intellect, but it can also be identified with God, who illuminates human reason. However, Bonaventure’s doctrine of the agent intellect is not sufficiently systematic for us to be able to present a definitive interpretation, which also points to the fact that Bonaventure did not consider this issue to be of significant importance. The aim of this paper is to take into consideration the connection between two well known theories of Bonaventure: his account of knowledge and his argumentations about the existence of God. First of all, following the Commentaria in Libros Sententiarum, I will interpret his notion of agent intellect with reference to the Aristotelic physics of light and I will show that in these texts Bonaventure analyses the mechanism of human knowledge. 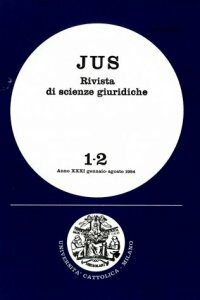 In his mature works this epistemic level is supplemented by a metaphysical inquiry in order to explain the reasons thanks to which human knowledge is able to grasp the truth. I will present this passage as a kind of natural theology. Finally, I will reflect on the methodological relationship between faith and philosophy presupposed by Bonaventure, concluding it is relevant for the most recent proposals in the field of analytic philosophy of religion. In this paper I shall discuss Bonaventure’s issue about the principle of individuation, focusing on distinction 3 of Commentarius in secundum librum Sententiarum. First of all, I will offer a double formulation of the problem of individuation: it was thought as the problem of numerical distinction of a specific essence. Secondly, I will focus my attention on Bonaventure’s statement about individuation: according to the theologian, the individuation is the result of the actual conjunction of matter and form. However this does not represent a proper answer to the traditional problem of individuation. The Franciscan thinker’s purpose is to offer a reconsideration of the meaning of ‘individuation’, which means ‘substantiality’: the numerical difference is a mere consequence, an accidental property, of the mutual appropriation of the substantial principles, namely matter and form. For that reason I will conclude that, from Bonaventure’s perspective, the problem of numerical distinction is a really pseudo-problem. 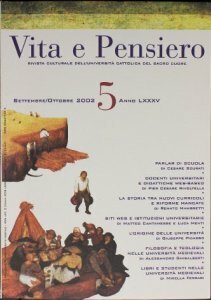 In 2014, M. Olszewski edited some disputed questions (about creation, ‘image’ and human soul) found in a manuscript conserved in Florence. 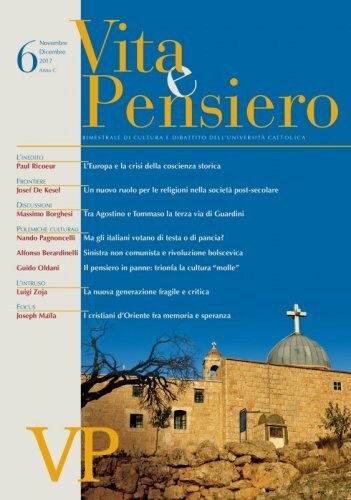 The authorship of these «florentine questions» is controversial. There are reasons to attribute them to Bonaventure, as well as to other authors very close to him. However, after their publication, someone criticized this attribution. In this note, I will pursue three goals. One, to show that there is an impressive similarity of lexical usages and no real doctrinal inconsistency between these questions and works doublessly recognized as Bonaventurian. Two, to highlight the truly cooperative and creative character of the Franciscan Theological School of Paris in the middle of the 13th Century (really far from the usual historiographic idea of a conservative and eclectic environment). And three, to present some suggestions (still interesting today) emerging from the text. In this paper I shall present some observations on the metaphysical view according to the doctrine of Saint Bonaventure. 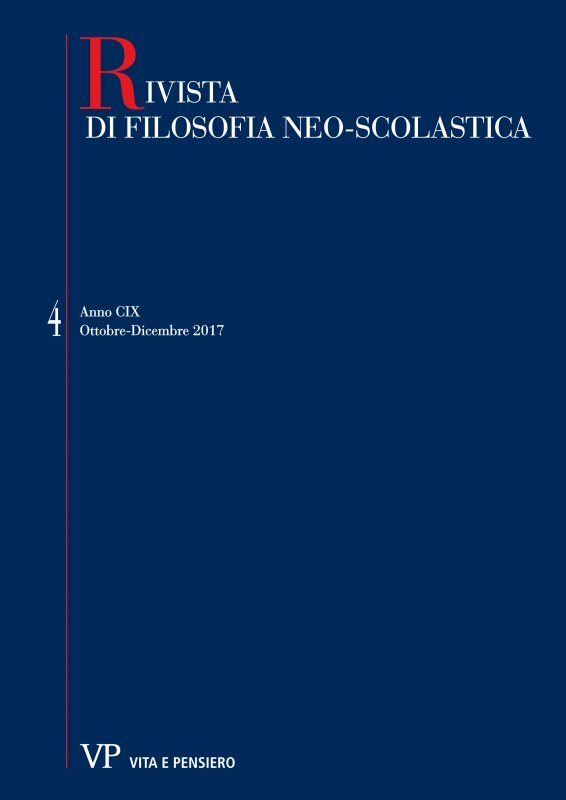 First, I will show that the fundamental reference of this view is the so-called «veritative being» in which the ontological and the theological dimensions of metaphysics are unified. In order to explicate the meaning of this conception, I will then compare it with the one developed by Parmenides. The picture that emerges is one according to which metaphysics is to be conceived not so much as an inferential dynamic, but as the explication of the intuited pure Being. The Bonaventurian view differentiates itself however from the Parmenideian one, since the disclosure of this fundamental intuition does not imply the exclusion of the phenomenal world, but rather its foundation. This paper focuses on the gnoseological implications involved in suggestive perspectives developed in De mysterio Trinitatis, q. 1, a. 1. According to Bonaventure, indubitabilitas of a proposition (verum) depends on knowledge certitude of the predicated reality (veritas). In particular, this cognitive foundation will be identified by the Franciscan Master answering the question concerning the existence of God («utrum Deum esse sit verum indubitabile»). For existence of God seems to rise to a paradigm of knowledge transcendental conditions and certitude. A very interesting treatment of this paradigm is the Bonaventurian approach to unum argumentum of Anselm of Canterbury, examined from a not immediately ontological point of view. 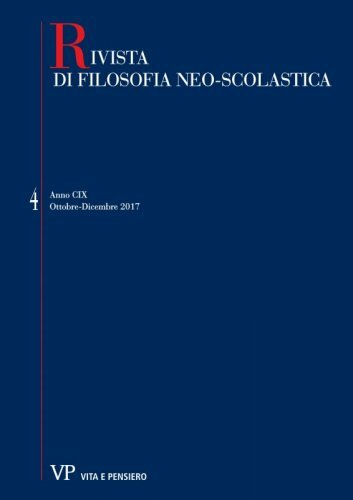 The aim of this article is to study the Bonaventure’s theory of illumination, limited to the natural cognition, and its relation with aristotelian élenchos. The metaphorical language used to described human soul as an image of God can be philosophically explained if we consider what the human soul and the Word of God have in common. The infinite capacity of the human soul and the capability to grasp some immutable and indisputable truths are signs of the permanent relation between God and the rational creature. In particular, as teached by Aristotele’s Metaphysics, there are some truths which are so evident that their negation entails their affirmation. In this case, human certitude and eternal truth have a ‘common place’ where they are able to communicate very tightly, so that to deny these truths would mean to lose the rational capability and the characteristic of being imago Dei. This paper is an exploration of St Bonaventure’s sermon Christ Our One Teacher with reference to the contemporary epistemological debate. In particular, I approach this text in the light of Lydia Schumacher’s recent work on what she calls faith-based theories of knowledge. These theories, differ from the mainstream epistemic paradigm in that they are grounded in a framework according to which faith and knowledge do not stand opposed; rather, in such theories faith functions as a prerequisite to knowledge. My thesis, is that Bonaventure’s positions as expressed in Christ Our One Teacher are an instantiation of such a paradigm. Accordingly, I shall outline the general aspects of the claims which Bonaventure advances in this sermon. Then, I shall move onto a presentation of Schumacher’s definition of a faith-based theory of knowledge. Finally, I will analyze and interpret the specific steps of Bonaventure’s argument in the light of Schumacher’s ideas. Both Aquinas and Bonaventure have dedicated some passages of their commentary on Peter Lombard’s Sentences to address the role of passions vis-à-vis the self-mastery performed by the will. In order to underscore the differences between both proposals, some authors (v.gr. N. Lombard o, The Logic of Desire) have posed the existence of a better capability of will in Aquinas to rule the passions of the concupiscible and irascible appetites, as opposed to a less availability of the passions to be manageable in Bonaventure, seemingly due to a supposed autonomy of the passions before the will and as if they were an inherent ‘threat’ to virtue according to the latter. This article discuss to what extent that comparison portraits Bonaventure’s opinion on the matter. 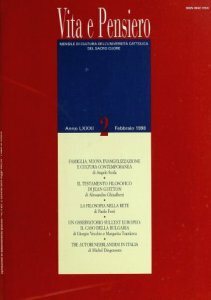 In this paper I would like to address two points: first, to show how, by using revised ontological argument, St. Bonaventure witnesses of his solid metaphysical realism in which the reality of the Creator is simply affirmed by the very existence of the creature; second, to show how his semantic analysis of Lucifer’s pride fits into a framework of immediacy of the obedience relationship between creature and Creator. The sin of Lucifer began in the presumption, was consummated in ambition, and confirmed in envy and hatred, realizing a perfect negation of charity. This sound Bonaventurian analysis leads us to obedience anthropology understood as constitutive discourse of the human subject: since the very fact of existing, we are in a relationship with the Creator that involves obedience or its denial, disobedience. The renewal of Moral Theology, according to the guidelines given by the Encyclical Veritatis Splendor, goes back to putting Jesus Christ at the center of Christian action, so that it is he who tells us what is good and what is bad. As a part of this theological renewal, there has been a rediscovery of the virtues, particularly under the hand of St. Thomas Aquinas. According to Saint Bonaventure of Bagnoregio, a contemporary of Doctor Angelicus who does his reflection under the University of Paris but on a different staff, one could also direct the question surrounding virtuous dynamism, to discover with him that Jesus Christ is the Exemplar excitativum virtutum. 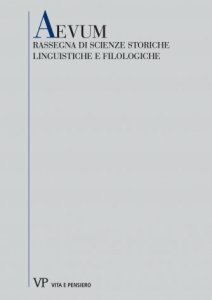 In this paper I propose an analysis of the classification of the sciences developed by S. Bonaventure in the De reductione artium ad theologiam. The first part introduces the basic topics of the encyclopaedic issue, showing its theoretical and sociocultural importance. In the second part I focus on the specific reduction problem in the Bonaventure’s essay. The guiding principle of this analysis is the belief that the classics are classics not because they belong to a more or less distant past but because they can tell us something about the present and they can teach us something for the future. In this respect, with the view to the encyclopaedic issue, the Bonaventure’s work will prove to be a real hymn to the human encyclopaedia. The contextualist anti-sceptical argument seems to be more compelling than many other anti-sceptical strategies, as the refusal of the closure principle preached by Dretske and Nozick or Moore’s common-sensical approach. Yet, it has been maintained that a better response to the sceptic can be expressed by following a neo-moorean approach. Here we defend the contextualist argument from three objections moved by Pritchard, a leading advocate of neo-mooreanism. The first objection claims that contextualism would be a «revisionist» linguistic thesis; the second that the contextualist argument «concessive» nature would lead to a sceptical conclusion; the third that the contextualist thesis that ‘know(s)’ is a context-sensitive term would be unnecessary since what the contextualist takes as a change in the truth-conditions of knowledge ascriptions might be better explained as a change in the assertability-conditions of those sentences. In the end, we will maintain that the three objections are ineffective. Reform and Revolution hate and love each other. Now they go in opposite directions, now they fight together against oppression and corruption, under the paradigm of the Exodus and the way from slavery to freedom. As long as we don’t confuse it with hegelian-marxist dialectic overdose of necessity and totalitarian patterns (Popper, Jonas). The Exodus is another story, a different novel. It looks for a better day that’s not the last one. It knows about pitfalls, disappointments and denials. It produces specific antibodies. Philosophers are watching Exodus, Revolution and Reform (especially the peasant rebellion of 1525, Müntzer and Gaismair): as a symbolic knot of agreements and fights (Engels, Bloch), as an evidence of the revolutionary paradigm (Walzer), as a complaint of Kierkegaard’s words «We the reformed» (or ‘We the revolutionaries’), too sure of ourselves. Living exodus, experiencing reform.